Nothing beats a Florence and The Machine performance, with Florence Welch's incredible displays, dancing and magical music to fit. As she and her band lights up the stage for a mind blowing performance, you can make sure to be a part of it! Come and book your tickets for an unforgettable night ahead. Florence and The Machine comes to DTE Energy Music Theatre on Friday 24th May 2019! 2019 is set to be yet another exciting year ahead for the indie rockers as they showcase their music from the last few years along with all of their biggest hits that everybody loves and adores in a spectacular display in front of you. Starting off their career all the way back in 2007, Florence and The Machine grabbed the attention of so many across the UK media, particularly the BBC who pushed their career with the introducing stages connected. In 2009 they hit the ball rolling with receiving a Brit Award and this is when it truly kicked off for them with the press following their eye catching and foot stomping performances. That same year their first album, Lungs was released and grabbed the number 2 spot in the UK for a few weeks running, the album kept on giving with a number one position in 2010 – the success that followed was out of this world. Ceremonials came out just one year after and gave them their North American fan base as it debuted sixth in the US charts. Next came How Big, How Blue, How Beautiful and just as they had done before, they rocketed the charts once more with the record hitting number one in a total of eight countries. 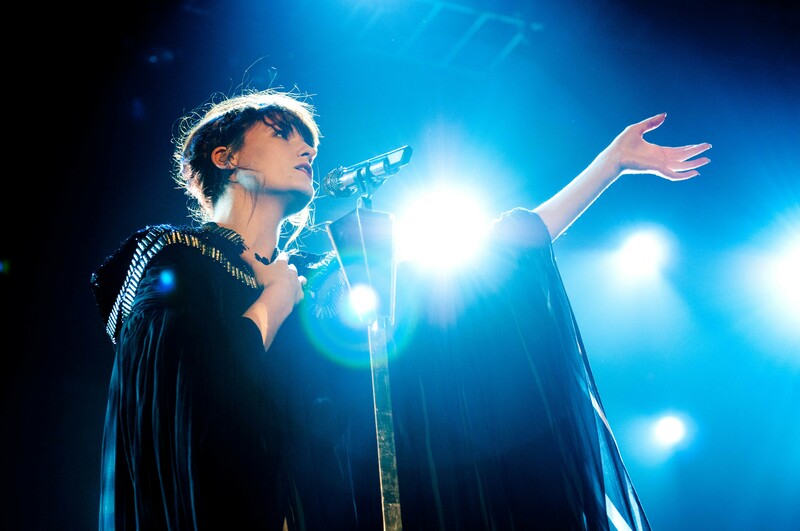 In 2015, Florence and The Machine played at the UK festival, Glastonbury and again were pushed up even more in the rankings, with a grand performance with a huge crowd, they were definitely being described as the perfect stadium band. Their rock infused soulful songs have given them countless awards and nominations such as being nominated for the Grammys six times in a row. Back on their US tour titled 'High as Hope' Florence and The Machine are ready to bring their fiery, dreamy, sensational, powerful music to the stages across the states… don't miss your chance to be there! !